Though it may provide a vista here and there, America’s interstate highway system was designed with speed and efficiency in mind, not for meandering road trips intended to take in the wonder and awe of the American countryside. That function instead has fallen to the sometimes twisty, oftentimes rural two-lane roads that make up the National Scenic Byway program, which could see a revival under a bill before Congress. Established in 1991 under the Department of Transportation’s Federal Highway Administration to recognize and preserve roads with “outstanding scenic, historic, cultural, natural, recreational, and archaeological qualities,” the National Scenic Byway program expanded from 14 scenic byways and six All-American Roads — considered the superstars of the program — to 120 scenic byways and 31 All-American Roads, spread across 46 states. While the program includes many roads with breathtaking views — California’s Big Sur Coastal Highway and the Blue Ridge Parkway, for example — it also includes a number of roads of historic interest, including much of Route 66 and Detroit’s Woodward Avenue. To be considered for the National Scenic Byway program, a road must be nominated by a local community that has already developed a corridor plan that takes into account preservation, improvement, and marketing plans for the byway, according to the website of Scenic America, a group that lobbies on behalf of the byways. 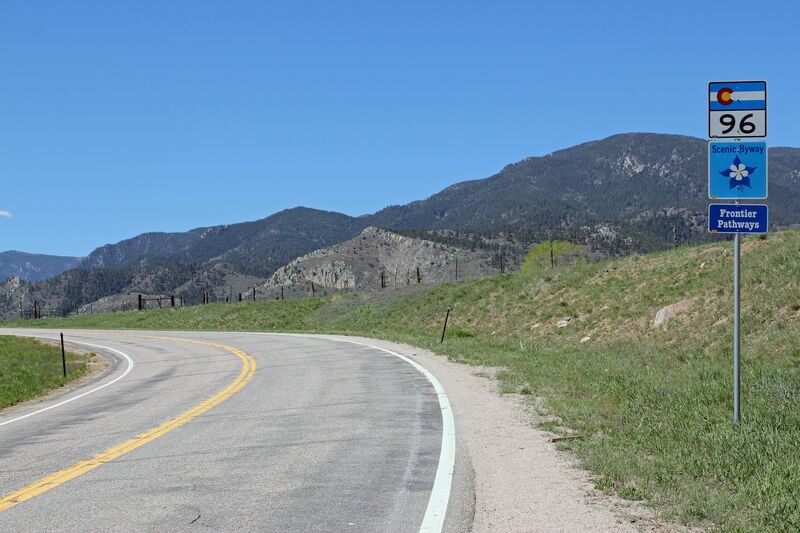 “Unlike some earlier state scenic roads programs that focused solely on the promotion of roads, this program helps communities balance economic development and resource conservation” the website notes. The program, initially funded with $74.3 million to be distributed as locally matched grants, got a couple of funding boosts over subsequent years: $148 million in 1998, then $175 million in 2005. That latter appropriation was set to last through 2009, and while the program was reauthorized through 2012 and still technically exists, it has been unable to fund the byways listed with it or add any more roads to its list. A bill that Rhode Island Representative David Cicilline introduced last month, H.R. 831, aims to change that. Also known as the Reviving America’s Scenic Byways Act of 2019, the bill calls for the Department of Transportation to start accepting nominations for (and eventually designate) new scenic byways. “The lack of federal support for the program is jeopardizing the continued viability of these special roads and their roles as economic engines,” according to a Scenic America petition supporting H.R. 831. The petition goes on to claim that 44 roads across 24 states could potentially be designated scenic byways should the program restart and that Federal Highway Administration spokespeople have stated that a restarted National Scenic Byways program would require no additional funding from Congress. Similar to a bill that Cicilline introduced last year that made it through the House Committee on Transportation and Infrastructure, H.R. 831 passed the House of Representatives on Wednesday. Not long after, Maine Senator Susan Collins introduced a companion bill in the Senate, S.349. At the same time that the House passed H.R. 831, it also passed H.R. 66, the Route 66 Centennial Commission Act. Illinois Representative Rodney Davis re-introduced the bill this year after a similar bill made it through the House and then stalled in the Senate last year. Legislation that would designate Route 66 a National Historic Trail, which also passed the House and stalled in the Senate last year, has yet to be re-introduced this year.